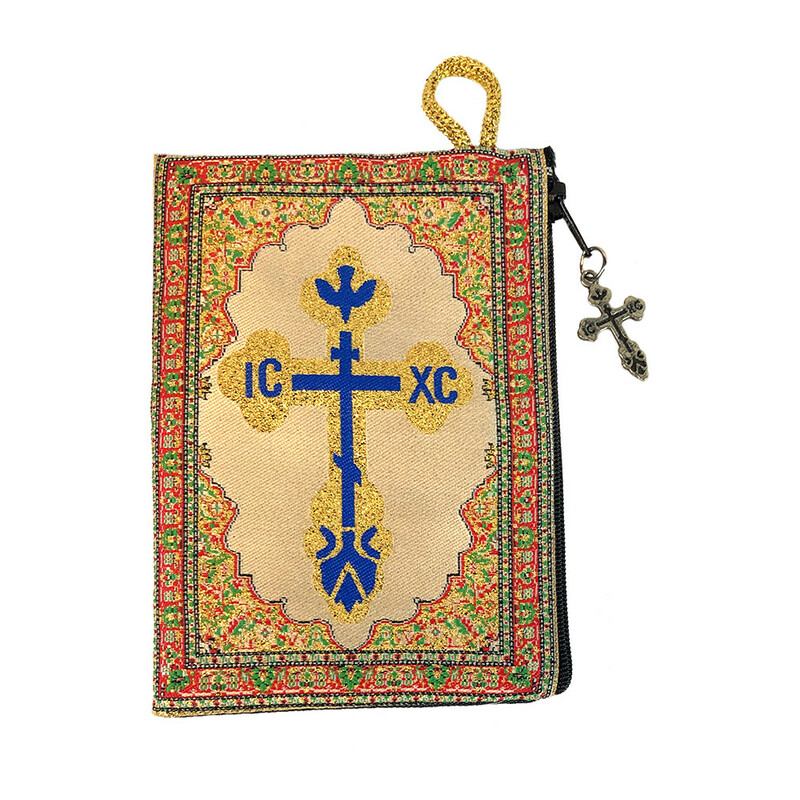 TIP1 Christ Bridegroom/Extreme Humility Icon Pouch Keepsake Holder Case 5 3/8"x4"
This tapestry pouch contains the icon of Christ's Extreme Humility Crowned with Thorns. 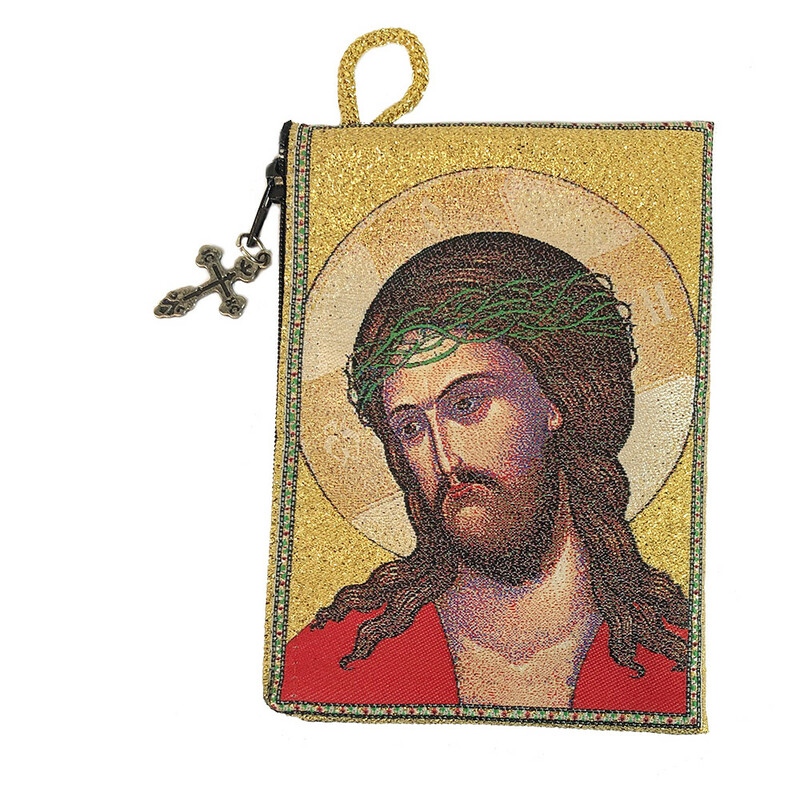 Variations of this icon are sometimes referred to as the "Bridegroom" and is used during the Great Fast (Lent) and Holy Week in the Eastern Church. 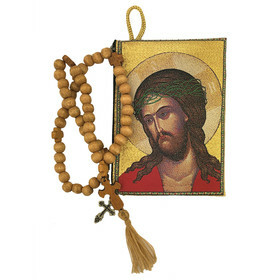 This icon is a source for contemplation of the Jesus Prayer. 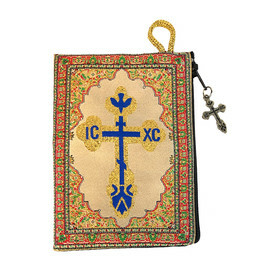 The verso contains a traditional Byzantine-Russian Cross with a representation of the Holy Spirit as a Dove at the top of the Cross and the first letters (IC XC) of Christ's name in Greek. 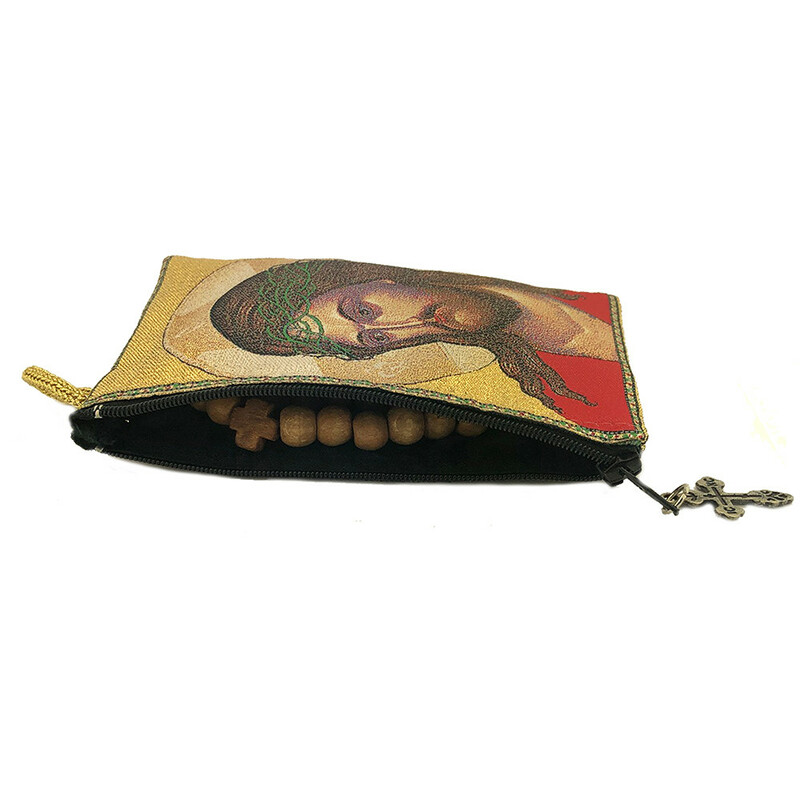 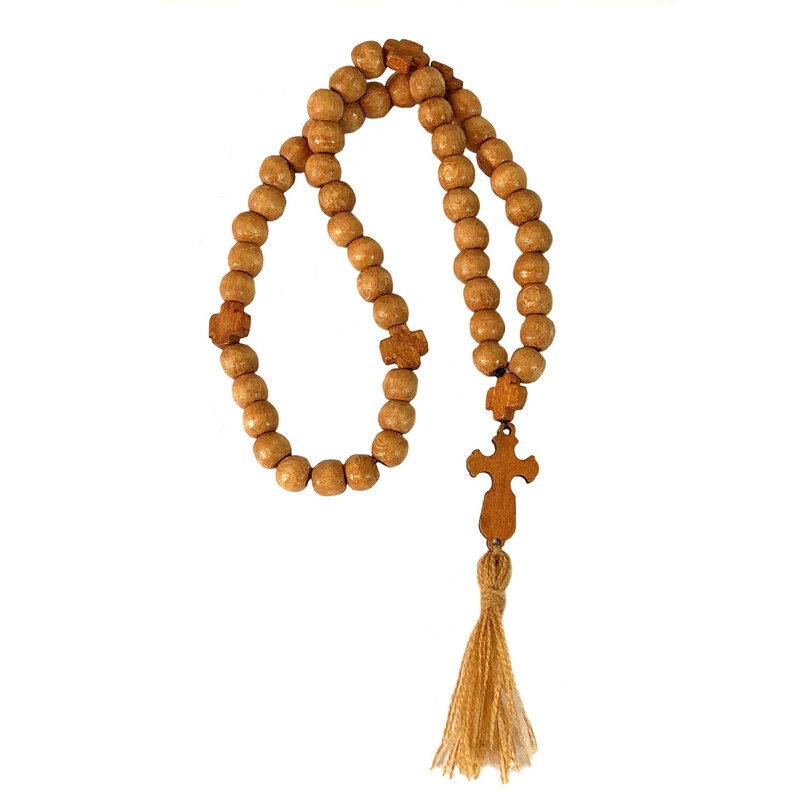 The icon pouch, lined with a zipper for closing, is perfect as a Rosary or Prayer Rope case.